MOSCOW, November 21. /TASS/. It looks like NATO needs an external enemy to make its member states fall into line, Russian President Vladimir Putin said in Oliver Stone’s Ukraine on Fire documentary to be shown on Russia’s Ren TV channel on Monday. "I don’t understand the logic of our partners," Putin said. "Sometimes it looks like they are seeking to establish discipline in their Atlantic alliance, to make its members fall into line. And an external enemy is needed for that." "Despite all the concerns they have about Iran, it does not seem to live up to that role," the Russian leader added. He explained why Russia is so alarmed about NATO’s expansion. "We are worried about the decision-making practices. 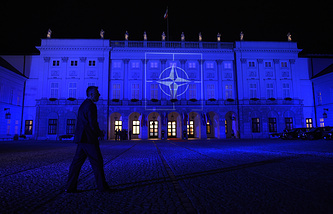 I know the process (of NATO’s decision-making)," Putin explained. 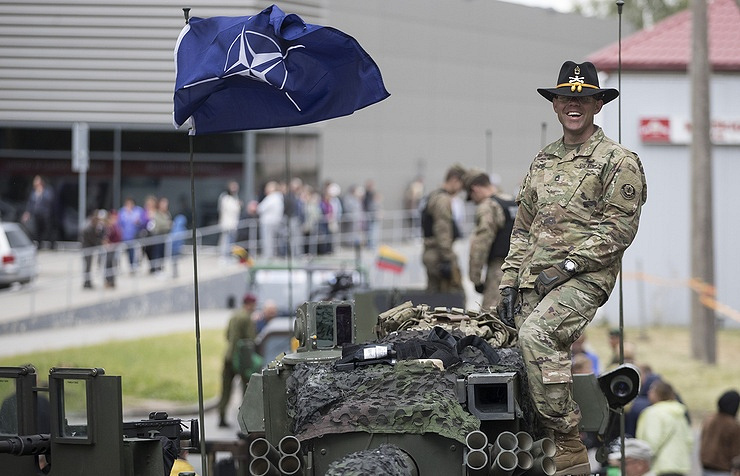 "When a country joins NATO, it becomes next to impossible for it to resist pressure from a major NATO leader such as the United States and hence it may deploy anything - a missile defense system, new bases or, if need be, missile strike systems," he said. "And what are we supposed to do? We are forced to take counter measures, that is, to aim our missile systems at those facilities which we think pose a threat to us," he stressed. "The situation is heating up."